Pin important notes onto the cork and write messages on the white board with an erasable coating. A great combination for any home or office. 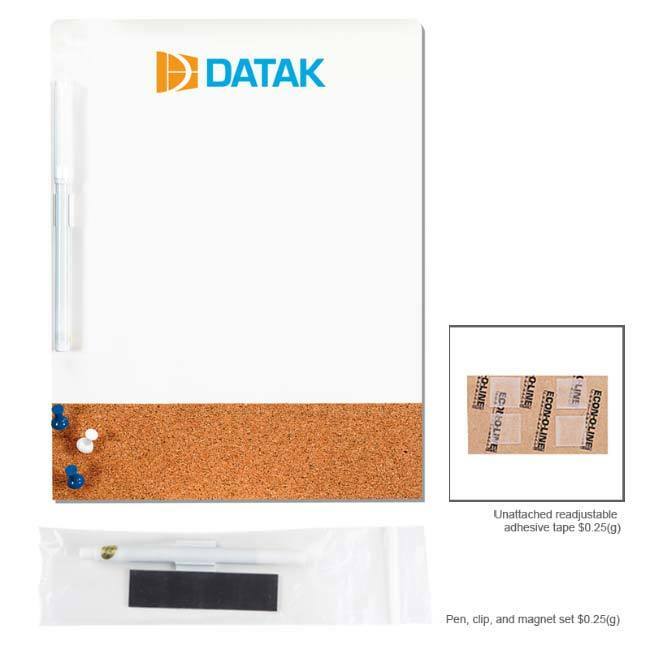 Combination dry-erase and cork board comes with pen, clip, magnet and push pin set. Prices may vary.